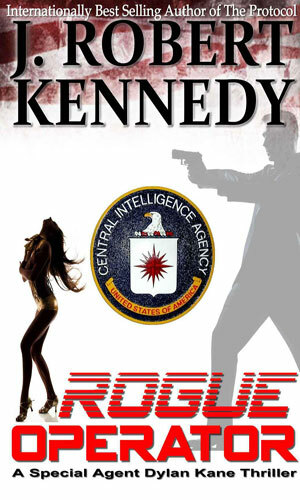 Dylan Kane is an agent with the CIA. He is probably their best agent in the field, a man who has on many occasions gone into the darkest alleys and remotest regions, usually working alone, and handled situations that seemed nearly impossible. He would do this with an extremely cool demeanor and a dedication to purpose, putting aside all distractions until the job was done. Only then would he loosen up. He loosened up a lot. He made very good money but lived simply back in the states with a small apartment and an average car because "ostentatiousness was frowned upon at the Agency". However, when he was on vacation, usually in a foreign country where he was as anonymous as he could get, he loved to live well. He did NOT save for retirement because he was certain in his line of work, taking the risks that he routinely had to take, some things were just never going to happen. Kane is in his early to mid 30s as the series opens. He is principally a loner with no real attachments. His parents were both still living and he had a fair relationship with them but his travel kept him away so much they had become more a part of his past than his present. He had no siblings. He had no romantic relationships. When he was relaxing, he had abundant non-romantic relationships but there was never any chance they would grow deeper. Kane was a loner and he enjoyed it. The only person he would think of as friend was Chris Leroux, a high school pal who was the book worm who tutored the athletic jock Kane. In exchange, Kane kept the bullies off Leroux and introduced him, peripherally at least, to a world of excitement outside a book. High school ended and the two went their separate ways but years later they would meet up again. 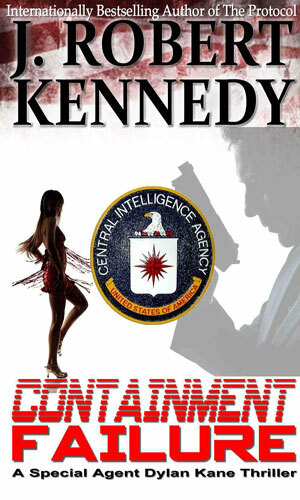 Kane was a CIA field agent. Leroux was a happily desk-bound CIA analyst. They were still quite a bit different but they would quickly realize they were both still very good friends, possibly the only one the other had. That friendship and ability to work well together would come in handy as time went by. Kane came to the CIA by way of Delta Force. Being very athletic and craving action, Kane was in college on a football scholarship when 9/11 happened. He knew he could not stay there. He had a long talk with his favorite professor, archeology expert James Acton, a man who had become a mentor to him and decided that he needed to get involved. Involved he certainly got. Several years with Delta working in the harsh terrains of Iraq and Afghanistan were followed up an offer from the Agency and the types of locations he would risk his life would become more varied but the chances of survival would remain the same - bleak. Kane would not have it any other way. When a friend of Dylan Kane comes upon proof that the boating disappearance of several scientists was not an accident, he is told to let it go. 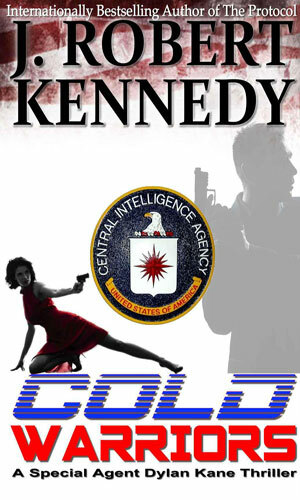 He calls in Kane, however, starting a chase to stop a new war with a very deadly weapon. A scientist for a major pharmaceutical company has created a very dangerous weapon capable of striking specific genetic types. New Orleans is under lock-down and as the rioting escalates, Dylan Kane is given the green light to do whatever it takes to solve the problem. In Chechnya, Dylan Kane learns of a secret meeting between a Chechen leader and a retired Soviet general who once controlled their nuclear arsenal. As he tries to find out what they are up to, he learns this is not the first such transaction - the first happened three decades before. 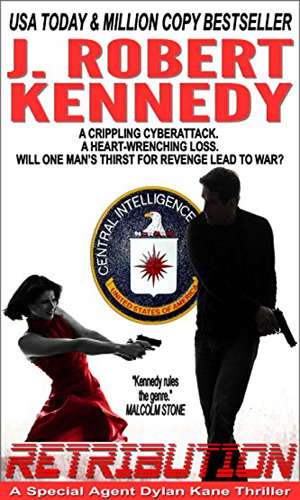 As Islamic terror groups strike all over the U.S., Dylan Kane learns of an involvement by the Chinese in the attacks. He goes on the offensive but his biggest aid, his friend Chris, has problems of his own. Corrupt Russian agents have sold deadly Cesium to Chechen rebels. 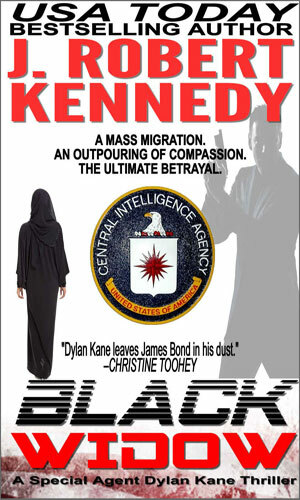 Dylan Kane is ordered to infiltrate an ISIL cell who had just bought it. Just when the country needs him more than ever before, as cities are collapsing, his one true love needs him just as much and he has to decide which to help. A ransomware attack crippled computers around the world, including a hospital which resulted in the death of a young boy, the son of a billionaire who will now use his considerable wealth to track down and destroy the cyber-terrorists even if it means starting a war. Dylan Kane and his team is out to stop the terrorists in a different way. 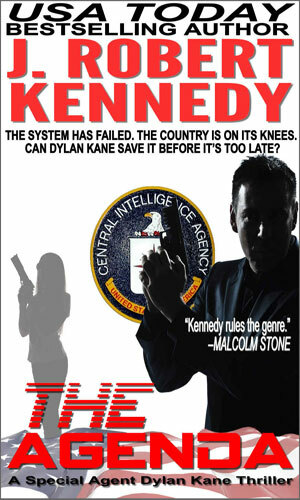 The Dylan Kane series is a very enjoyable one, a series that I hope will continue for some time. Kane himself is a hoot with his fight hard when on a mission and then play really hard when not attitude. In his line of work with its constant demonstation that spies do not live to old age, it makes sense. The author does a great job of not belabouring the point, letting the reader see for himself. The action is terrific and very well written. 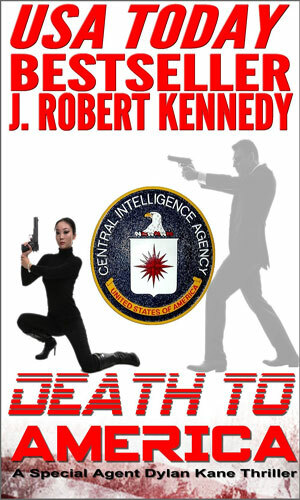 The plots are high-energy demands on both the characters and the reader, making for a thrilling ride. You get to know the characters and can make reasonable expectations about their reactions but sometimes they will surprise you and that is a good thing. The part that I like best about the series is the cast - a few very well developed characters that you get to know and like and then the author goes and puts them in highly dangerous situations. Best of all this is the fact that you know if the story demanded it, a key character could get quite dead. That brings the occasional pursed lips while reading and that is the mark of a good storyteller.